The bodyCushion™ is a carefully designed, high-quality orthopedic positioning system that allows a person to lie in any position without unnecessary pressure on sensitive soft tissue areas. Supporting the body on the bony structures like the clavicles, ribs, sternum, and pelvis enables the associated musculature to relax deeply. The bodyCushion™ is unmatched in enabling this effect. When the body is relaxed, all types of therapy are easier and more effective. In addition to providing superior support and comfort for patients, the bodyCushion™ also allows the practitioner to have maximum control over the applied treatments. The positioning of the patient on the bodyCushion™ affords the practitioner complete access to body parts and muscle groups in ways not possible if the patient is lying on a flat table, even using pillows and rolled towels. 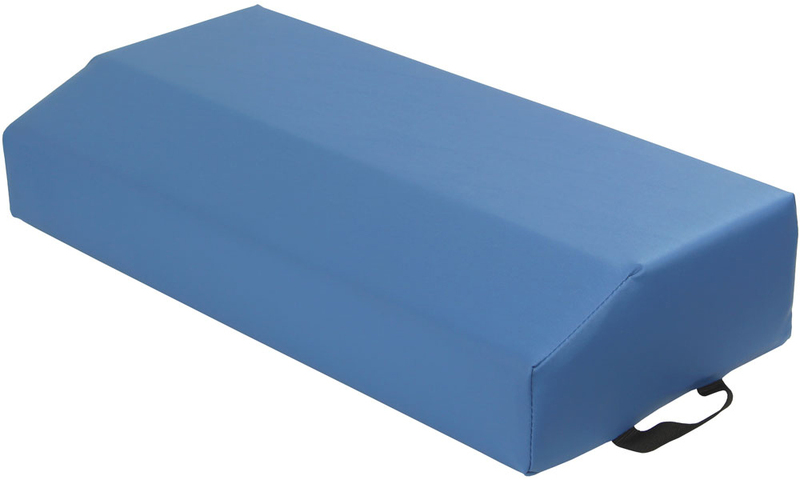 Use the bodyCushion™ to effectively position and treat patients in the prone, supine, side-lying, and seated positions. With the Original bodyCushion™, the Face, Chest, and Pelvic Supports attach to one another via adjustable Velcro® straps. If desired, the Face, Chest, and Pelvic Supports can be completely separated from one another by detaching the Velcro® straps. This provides maximum versatility and allows the practitioner to use the optional Breast Protector accessory with the Original bodyCushion™ as needed.